So the BH and I celebrated our wedding anniversary by eating at Gordon Ramsay at Claridge’s recently. As much as I would love to tell you that it was over-rated and expensive, I honestly can’t. It was perfect. Every course was balanced and tasty and I can’t tell you when last I oohed and ahhed so much, but the thing that most blew my little mind was the marshmallow that was served with the coffee. It was a complete revelation. 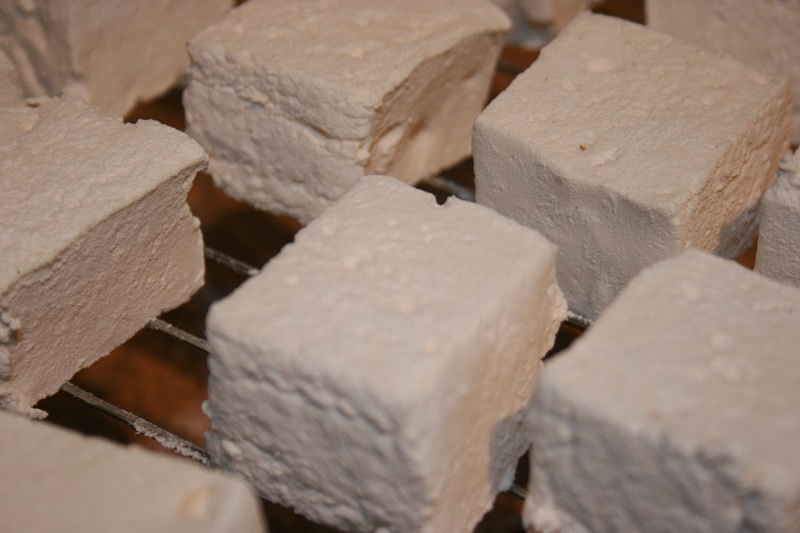 You see, up until that amazing moment, I had only ever eaten commercially produced marshmallows AND I loved them, but I don’t think I’ll ever be able to buy a marshmallow again. Naturally, the moment I got home, I had to try making my own and luckily they turned out to be a close facsimile of the one I had, because otherwise it would have meant weekly trips to Claridge’s and a steady financial decline for the BH and I. I am also hugely excited about the flavour possibilities for these lovely little morsels. I’m thinking coffee, lemon, chocolate, raspberry, elderflower. Oh my watch this space. 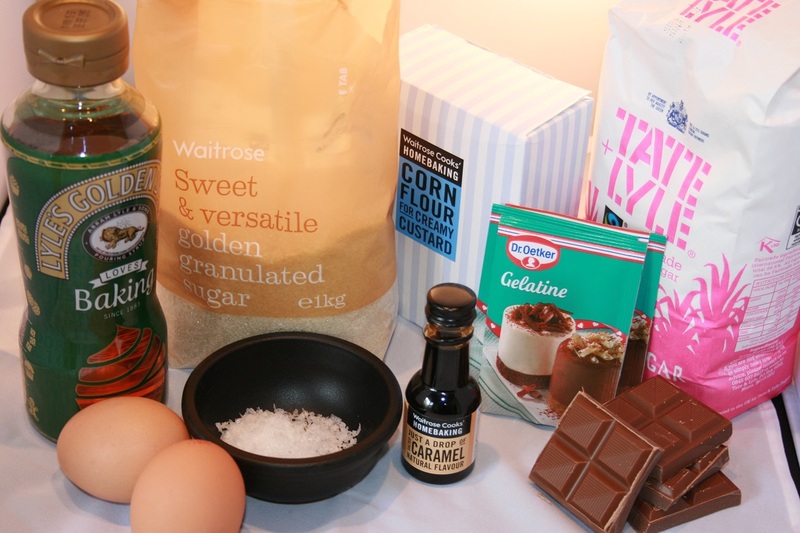 Sift together the corn flour and the icing sugar and set aside. 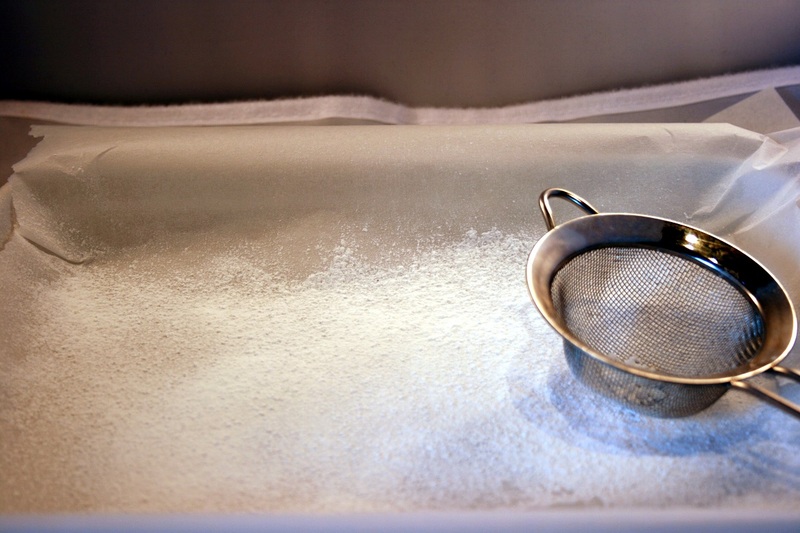 Line the bottom of a glass baking dish with parchment paper and lightly oil the paper. 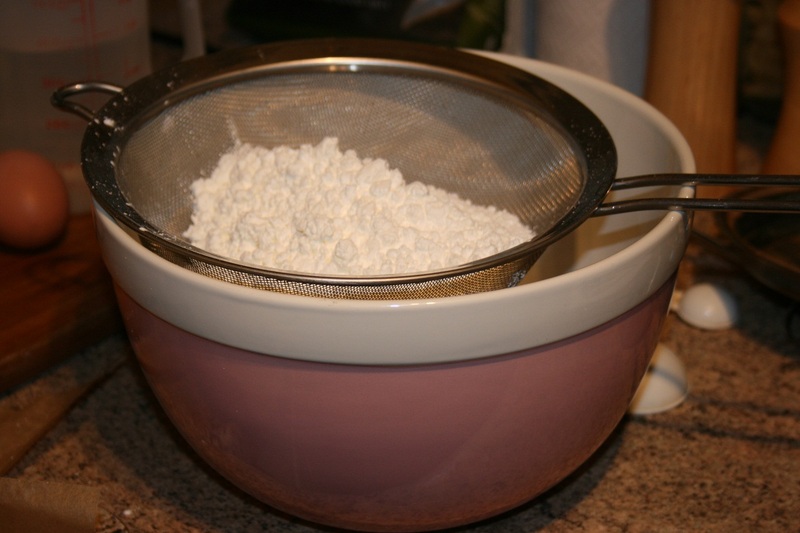 Then dust the bottom and sides with about an eighth of the icing sugar/corn flour mix. 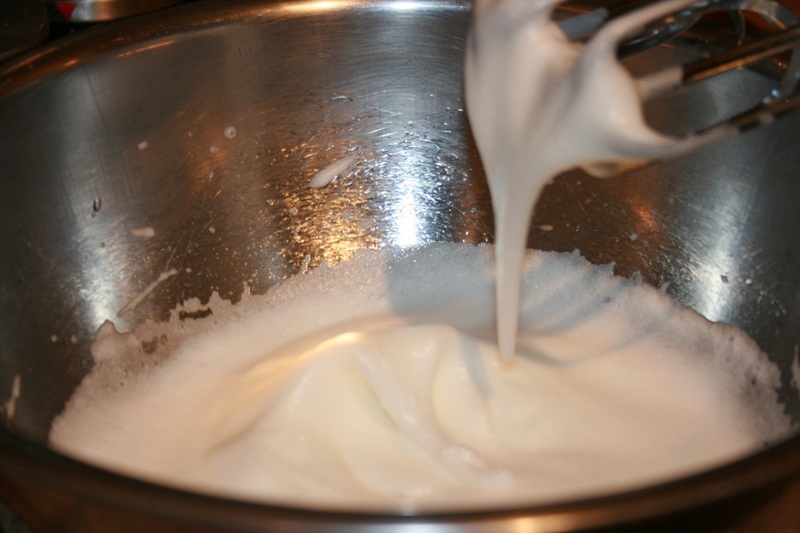 Beat the egg whites in a heat proof bowl until stiff peaks form. 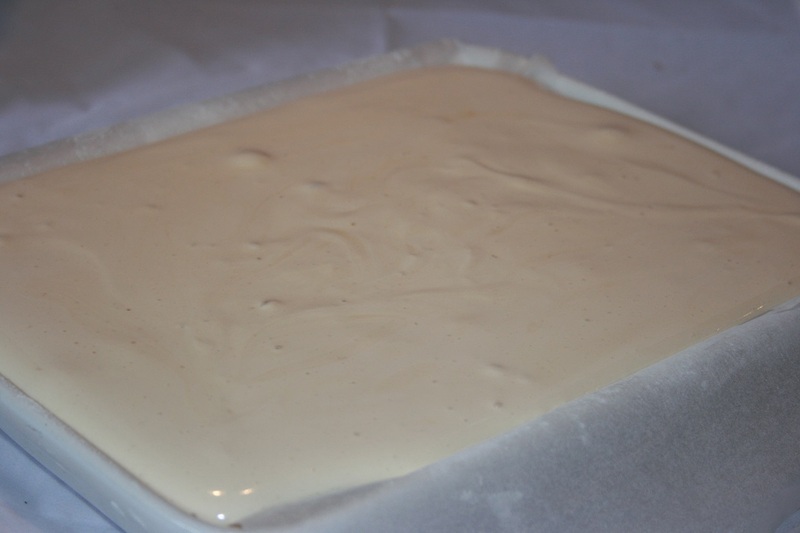 Then add half the water to a small sauce pan and sprinkle the gelatine powder on top to allow it to bloom. 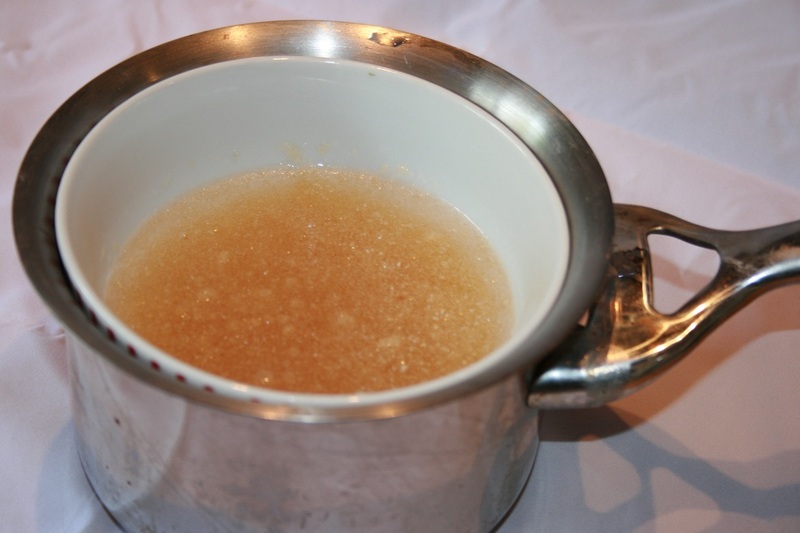 Add the remaining water to a large pot with the sugar and the golden syrup. 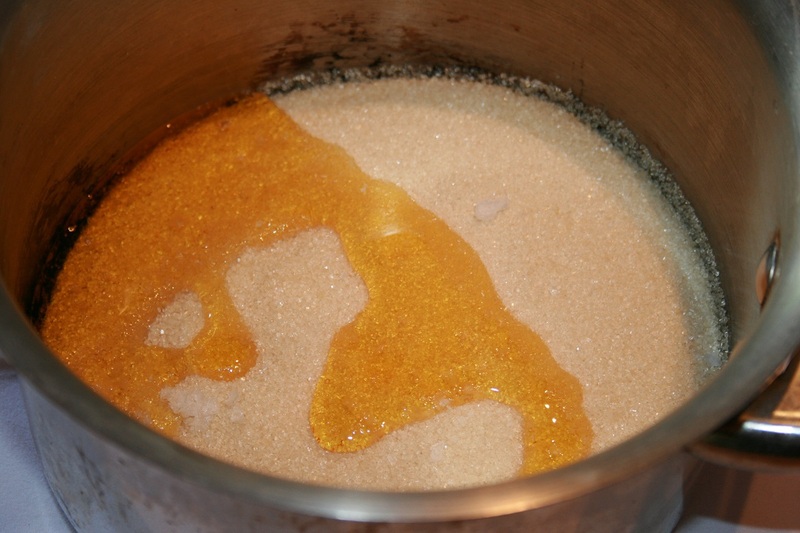 Stir to dissolve the sugar and then turn on the heat. 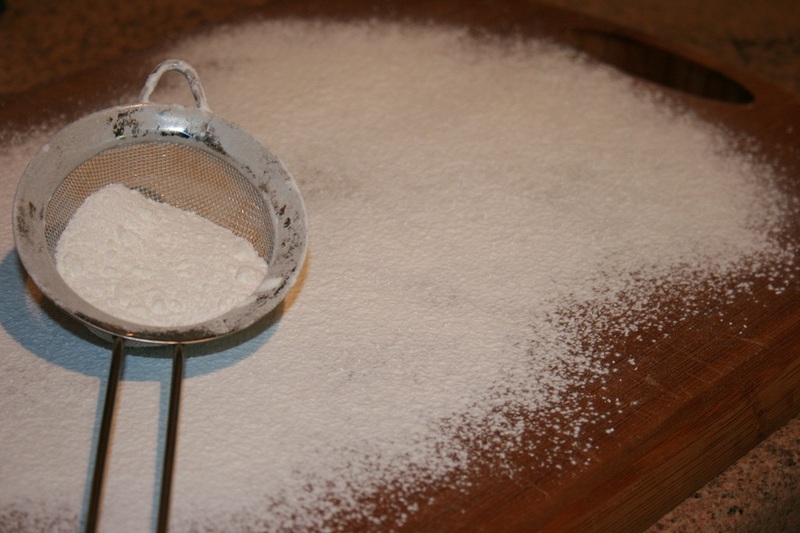 Without stirring bring the sugar mix to 130ºC. 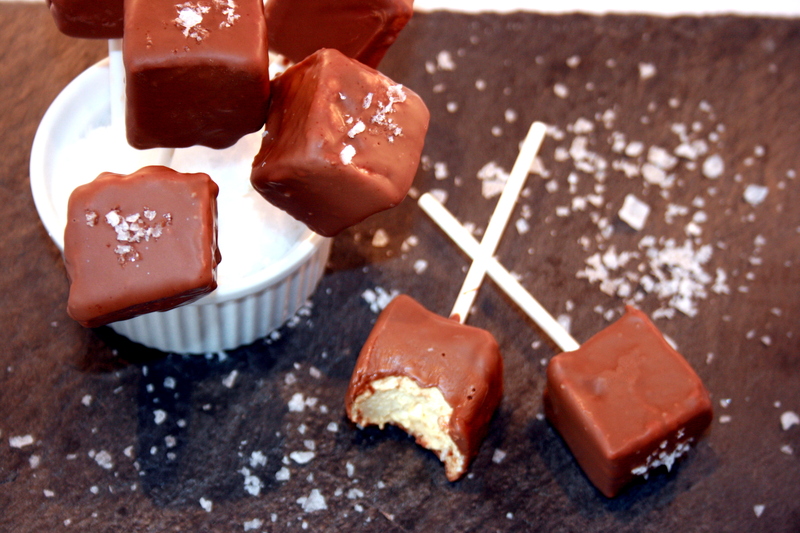 You will need a sugar thermometer for this. 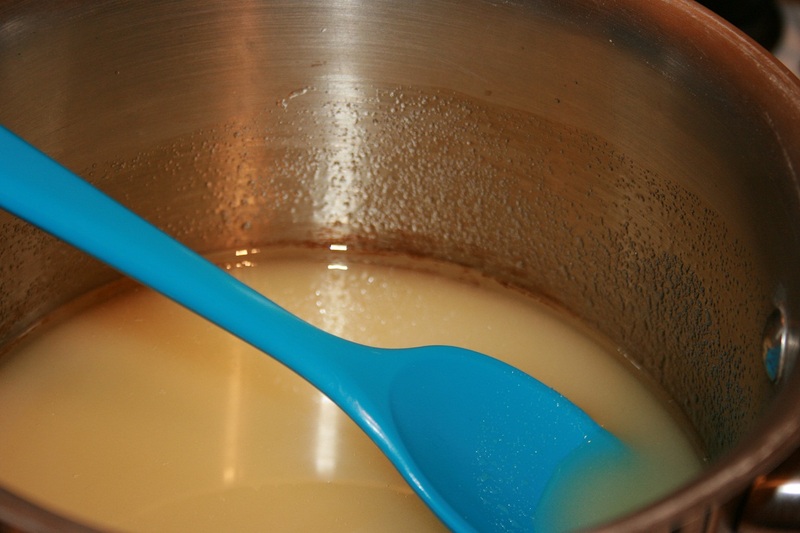 While this is boiling away, slowly heat the gelatine mix until the gelatine has completely dissolved. 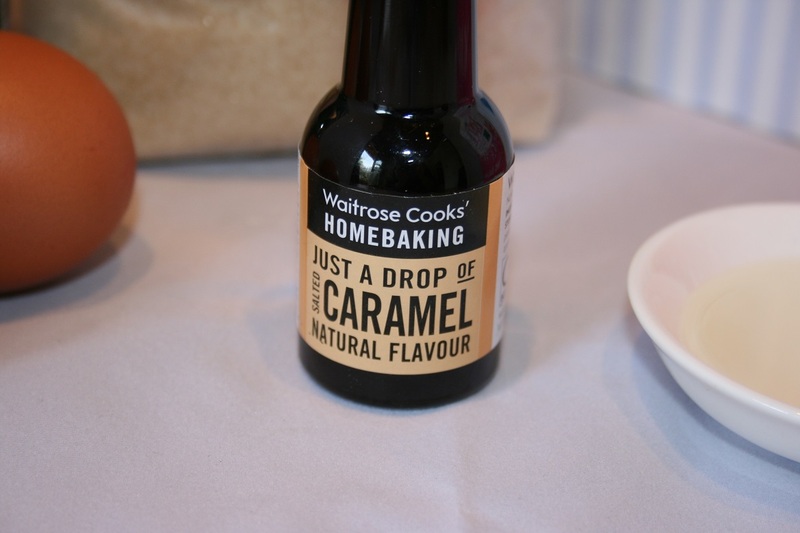 When the sugar reaches 130ºC, slowly add the gelatine mix to the sugar mix. IT WILL BUBBLE UP, so please be careful. 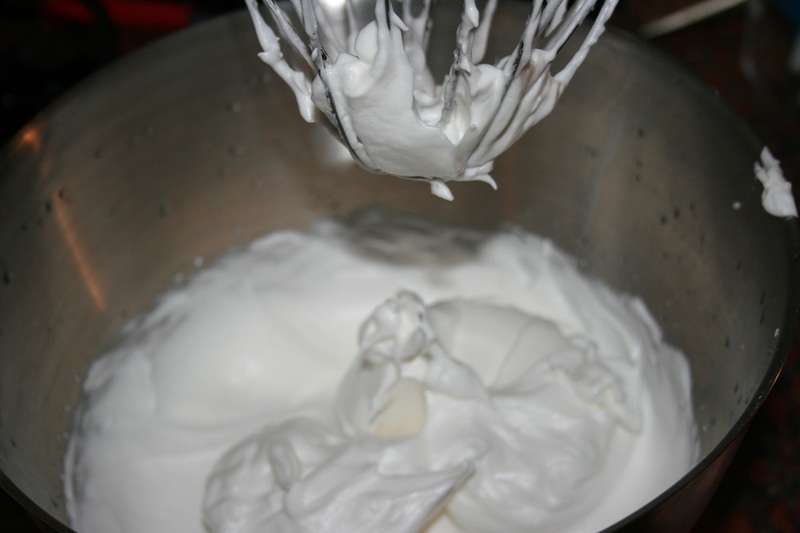 Add the vanilla to the egg whites and whisk. 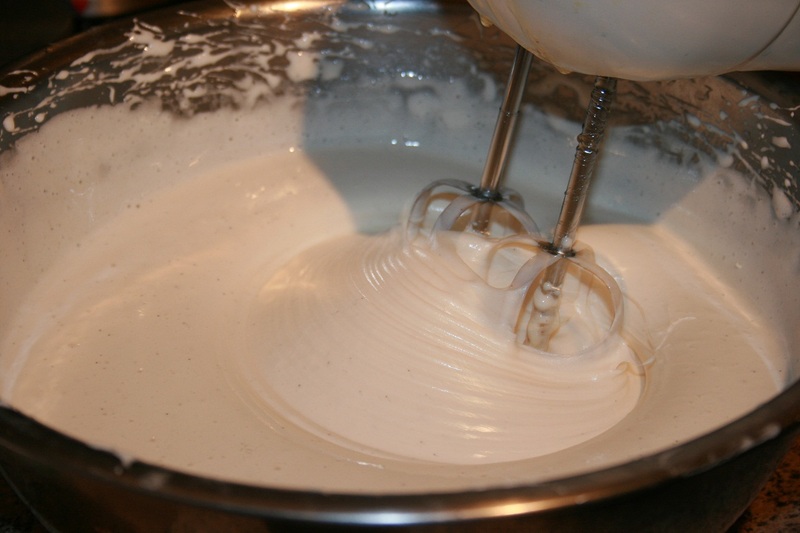 Then add the sugar/gelatine mix to the egg whites in a slow and steady stream while whisking. 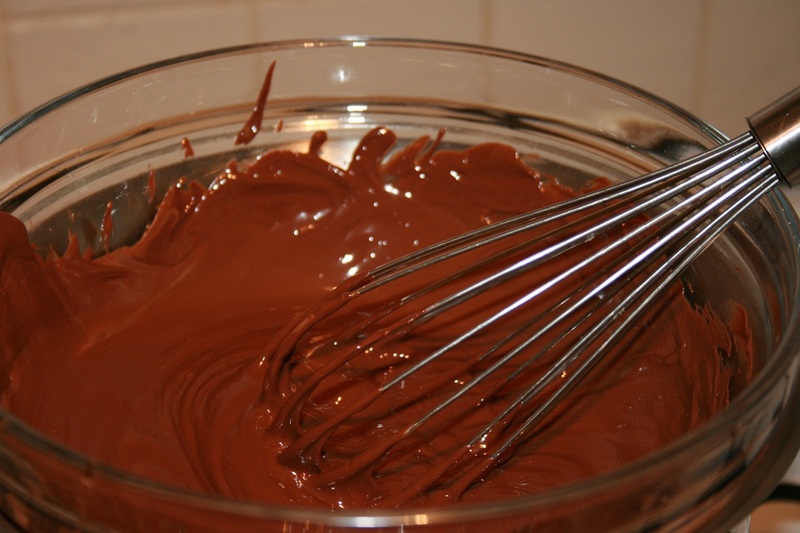 Once it has all been incorporated, beat the mixture until thick and fluffy. This should take about ten minutes. 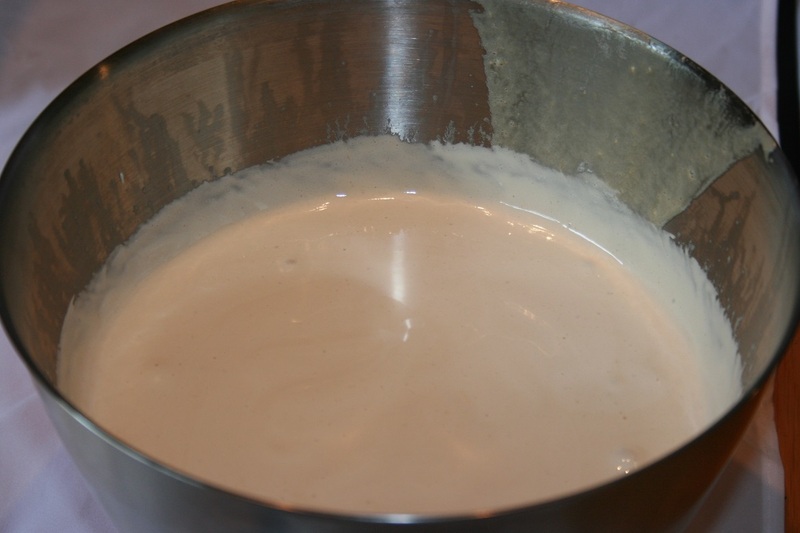 Pour the mixture into the pre-prepared baking dish and smooth the top with an offset spatula and allow the mixture to set for at least four hours, but preferably overnight. 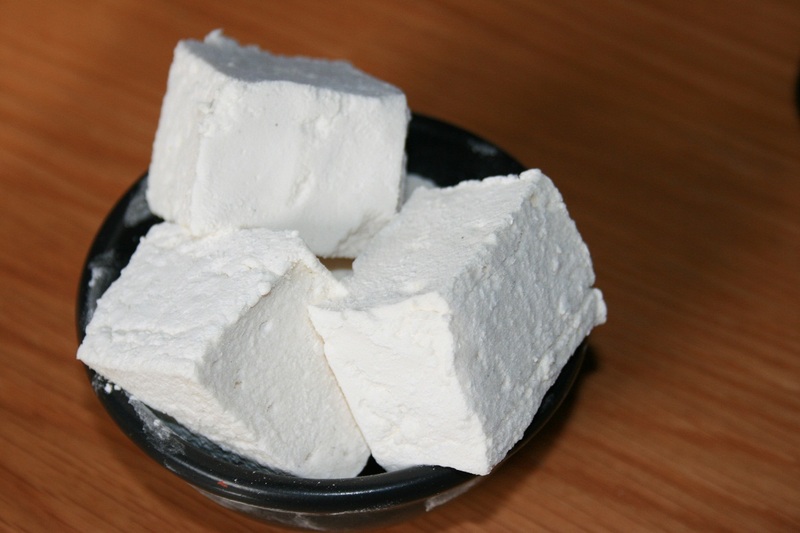 Put a generous dusting of icing sugar on the board you’re going to turn the marshmallow mix onto. 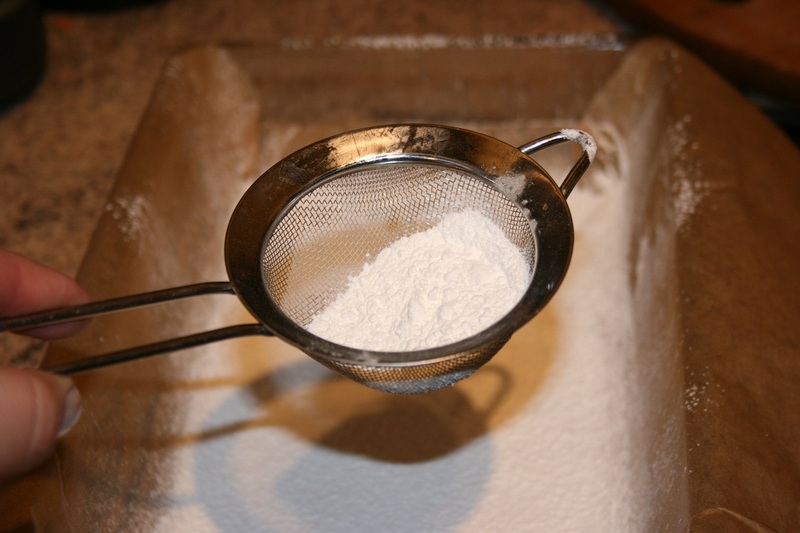 Dust the marshmallows liberally with the icing sugar/corn flour mix and leave to dry on a baking rack for about half an hour. Store in an air tight container for about 3-4 days, if they last that long. Sometimes, when it’s been raining for too long, or payday is far away, or your relationship is yo-yo-ing, or as in my case, your family is miles away and it will be forever before you get to see them again, or any other time when life is in a teeth kicking mode, you NEED something that tastes of your childhood. Something that will take you back to the kitchen giggles of when you were first discovering a love of cooking. 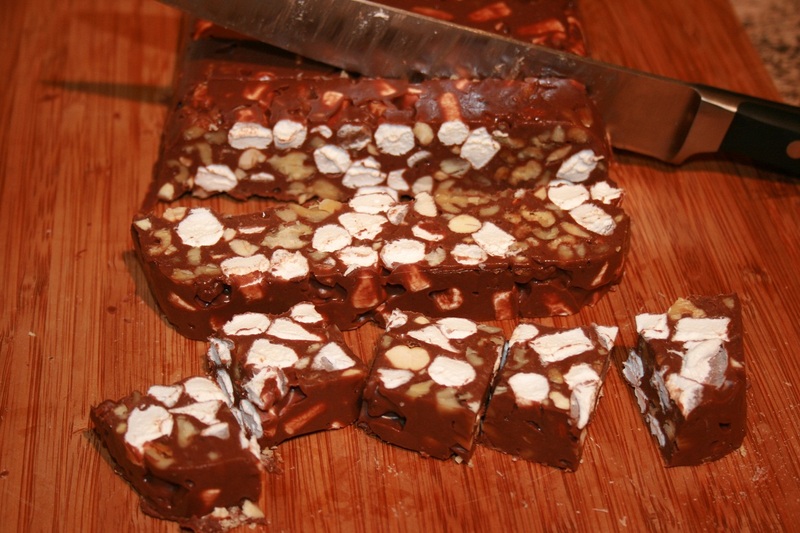 For me, it’s Rocky Road Fudge. 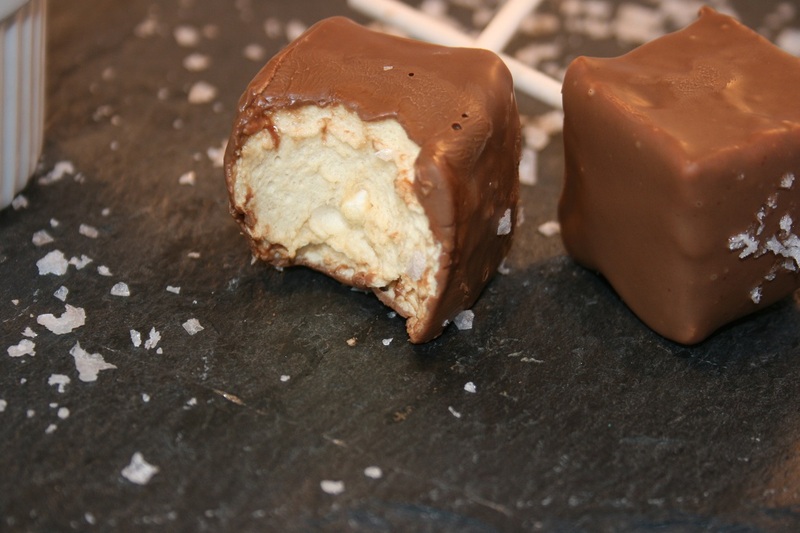 One bite into the soft, sweet marshmallow balanced with the crunchy roasted nuts, just held together with chocolate and I’m ten again. This is one recipe I don’t really muck about with, I do my best to keep it exactly the way I first made it. The only concession I make to the fact that I’m no longer ten, is that I now use two thirds dark chocolate. 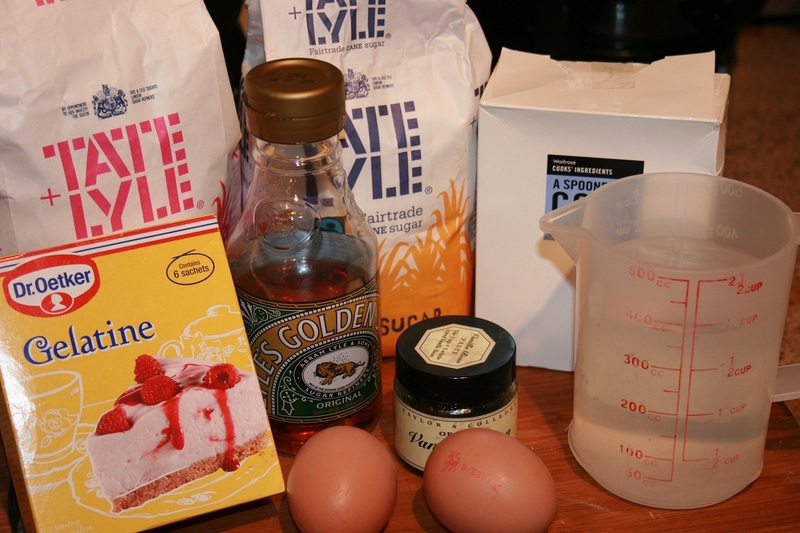 The really great thing about this recipe is that it requires no special ingredients or equipment and it’s both quick and easy to make. Making it perfect for the little ones. 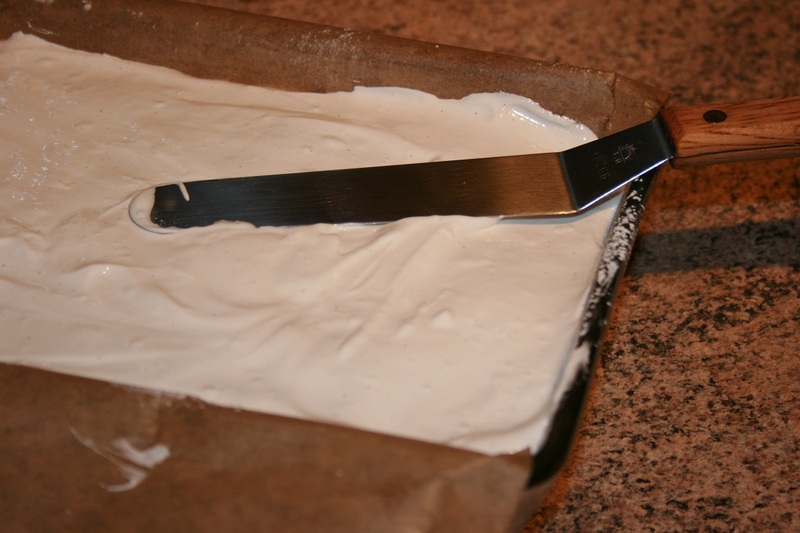 Before you begin, line a rectangular dish with baking paper and grease it. 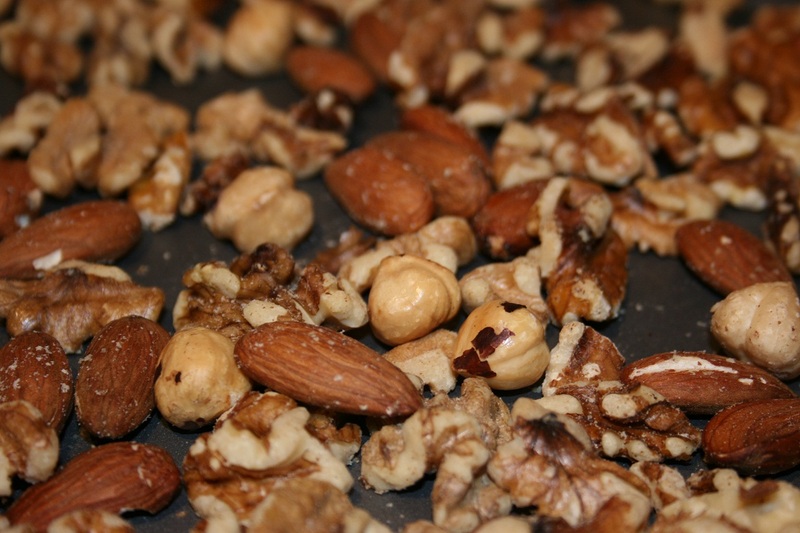 Then put the nuts on a baking tray and let them gently toast at 180°C for about 15 – 20 mins. Keep an eye on them to prevent them from catching. While the nuts are filling the house with the scent of . . . well . 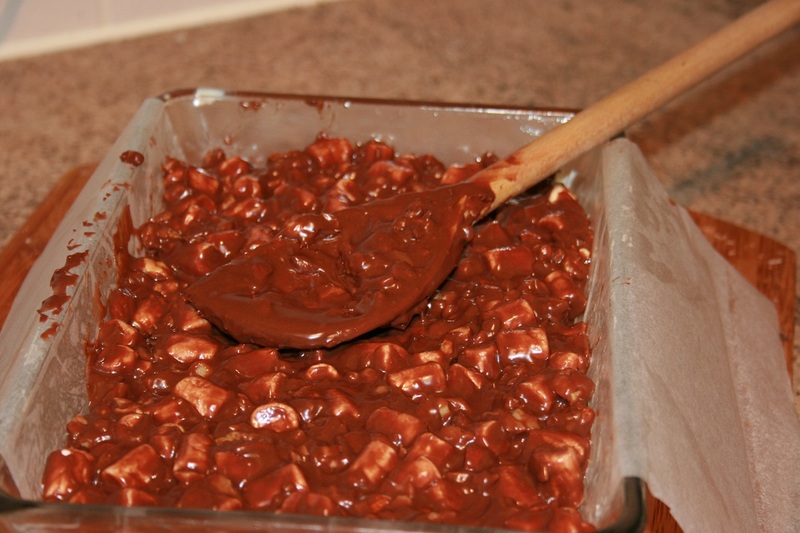 . . nuts, chop the chocolate in to even sized chunks so that it will melt evenly. 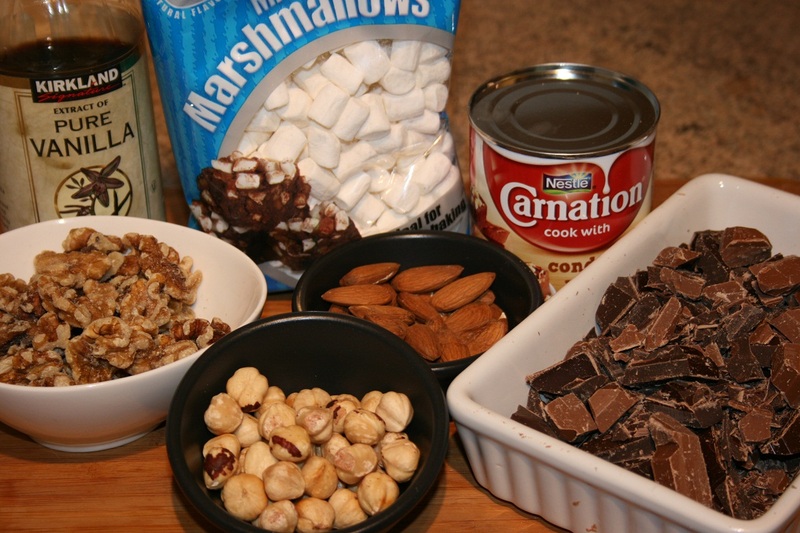 Before you melt the chocolate mix the nuts and marshmallows into a bowl. I must confess to a little lie at this point, there is one other thing that I’ve changed since childhood. 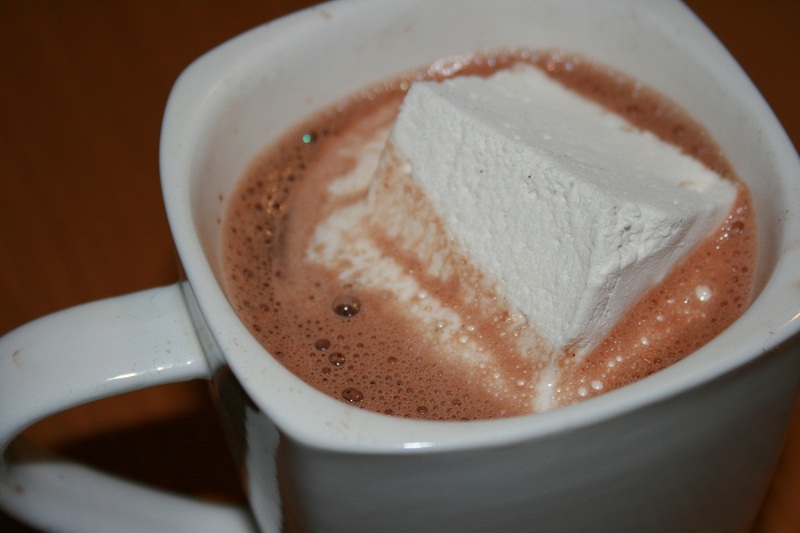 I now use mini marshmallows. 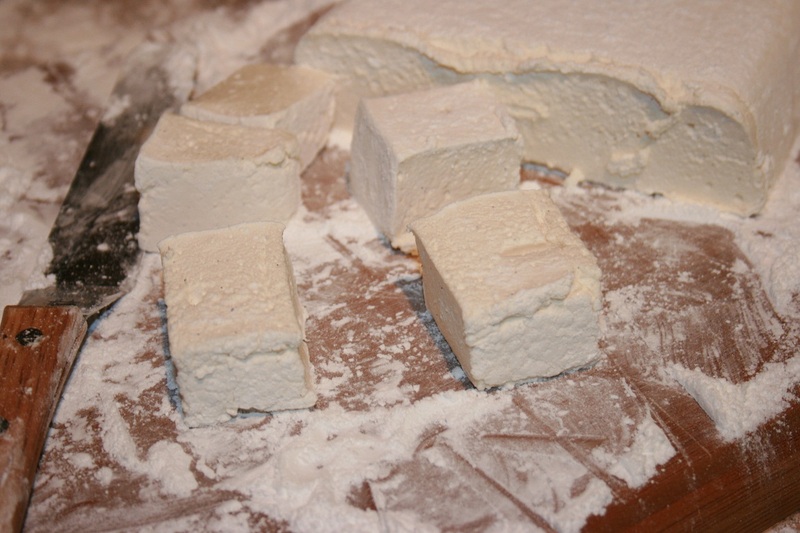 We used to spend an eternity snipping regular sized marshmallows into bits, but honestly why do it if you don’t have to. 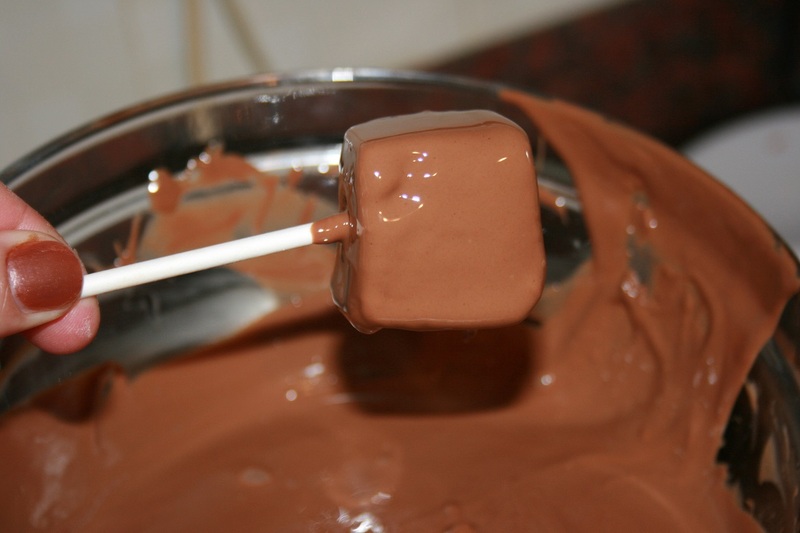 Now melt the chocolate. 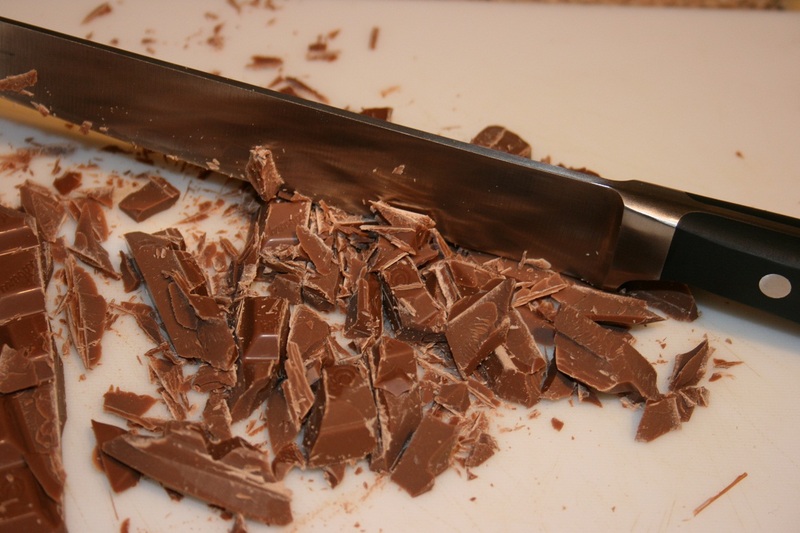 If you’re working with a little one, you can melt the chocolate in the microwave. 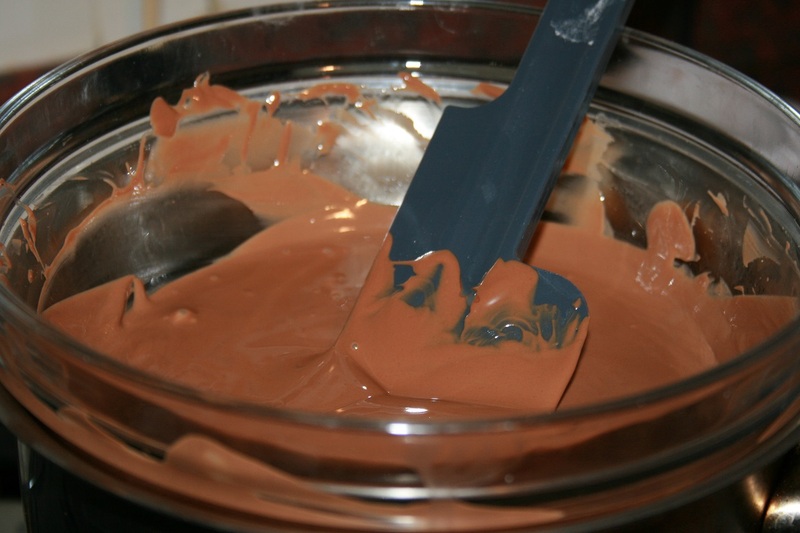 I prefer melting it in a glass bowl over water because it makes me feel like I really know what I’m doing. 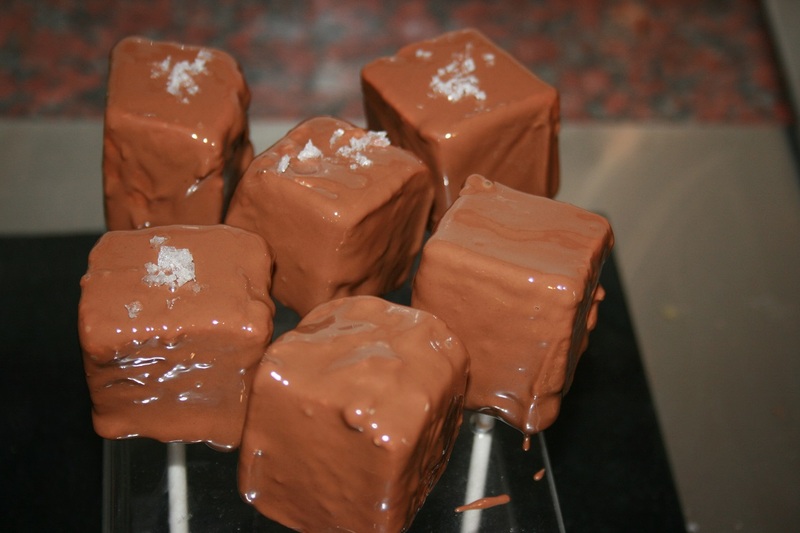 Once the chocolate has melted, quickly whisk in the condensed milk and the vanilla and then scrape the chocolate mix on top of the waiting marshmallows and nuts. Using a wooden spoon, mix them all up together. The sound of this, the nuts mixing together, is where this dish apparently got its name. 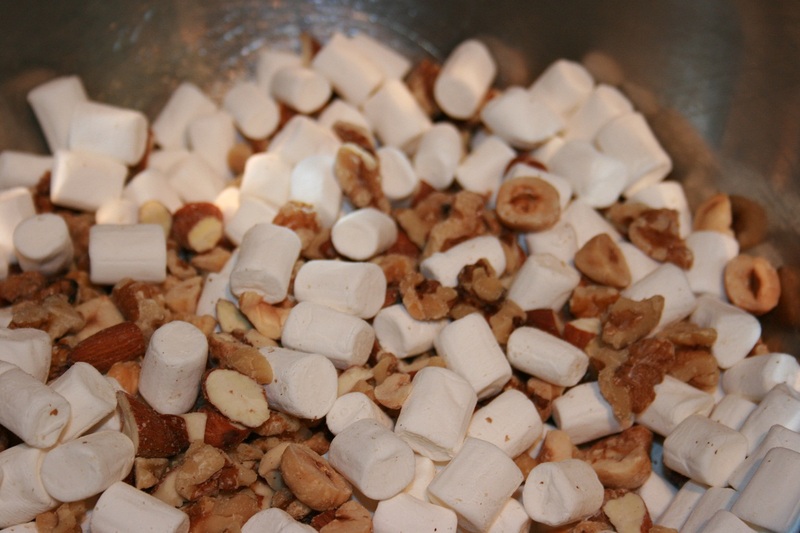 Once the marshmallows and nuts are evenly coated, pour into the lined dish and press down with the wooden spoon. Now it the time to practice your patience. Pop it in the fridge and leave it for at least an hour, until it has set. 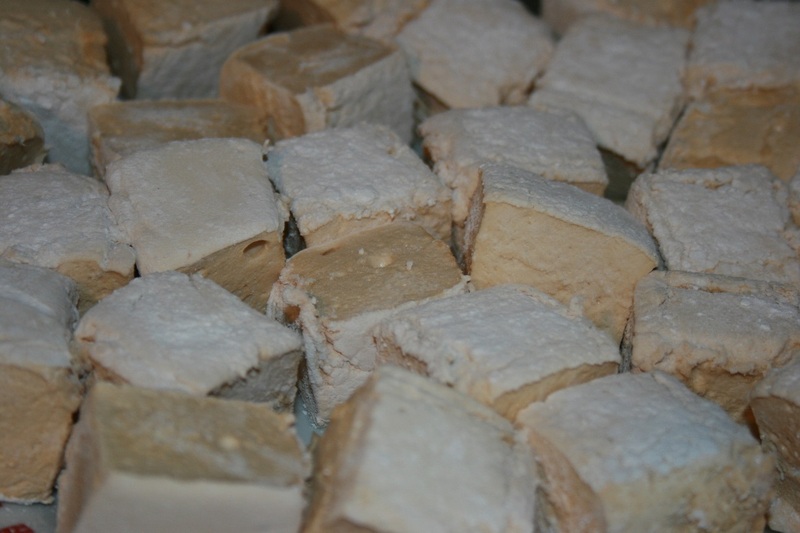 Then pull it out of the tray using the parchment paper and slice into fudge sized bites. 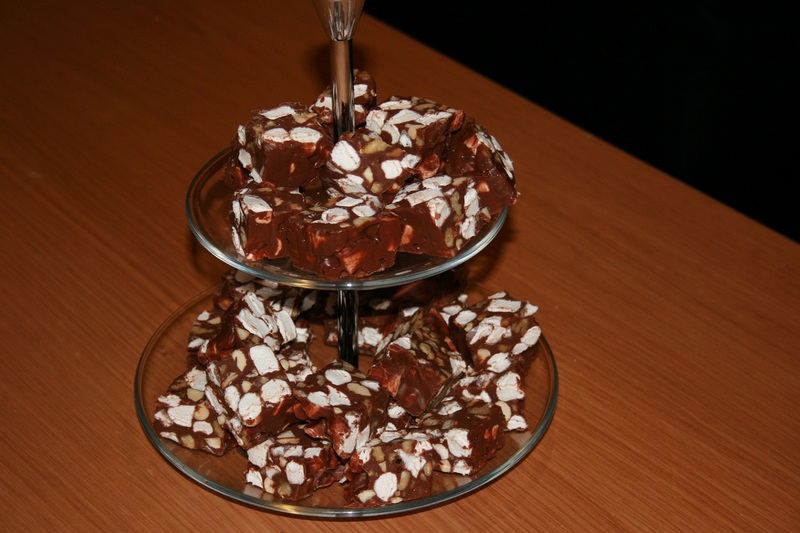 Now, if we’re going to be honest, these babies, while munchish and morish, are never going to win any beauty awards, but display them on a on a glass stand and let their taste win the hearts of even the chews-iest of folk. Because, trust me, they will.